Well people I've got something special today! I prepared a survey that I'd like you to have a look at, as I hope to get some more insight on your opinions regarding the website and the patreon (even if you aren't a patron). It takes around 10 minutes and here's the link to the survey. Speaking of Patreon - I made a small change on the 4$ tier - early pages will now be posted as I finishe them, which means we're two pages ahead of the website at the moment! 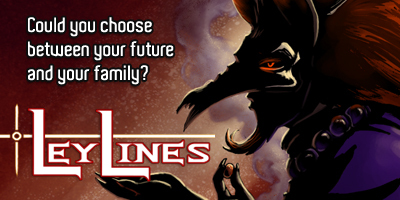 LeyLines - An irresponsible prince, his dream-weaving sister, and their adopted brother are given a mission by a voiceless goddess of dreams that will force them to choose between their family and future. And there's currently a Kickstarter for the volumes 1-4, too! 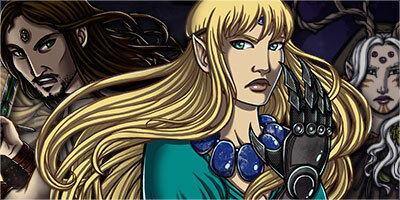 Moonslayer - Cursed from birth by a vengeful moon goddess, a feisty princess must master the art of battle and the lore of the gods if she wants to challenge her fate. Also don't forget to back the SpiderForest Coloring Book!